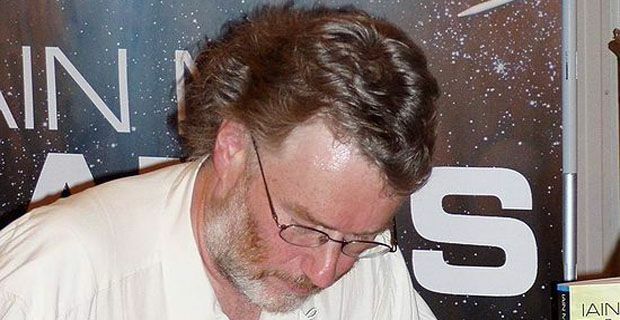 In absolutely tragic news, Iain Banks, one of the UK's most prolific, most popular and most loved authors , has been diagnosed with late-stage gall bladder cancer and is "extremely unlikely" to live longer than a year. The master of both literary and science fiction announced in a statement that he was ‘officially very poorly’, that he expected top live no longer than a few months and that his latest novel, The Quarry would be his last. Having recovered from a blocked bile duct and the accompanying jaundice, Banks had started to notice that he had a permanently painful back. Initially putting this down to spending so much time hunched over a keyboard, he finally went to his doctor where deeply sad news awaited him. He said “"I have cancer. It started in my gall bladder, has infected both lobes of my liver and probably also my pancreas and some lymph nodes, plus one tumour is massed around a group of major blood vessels in the same volume, effectively ruling out any chance of surgery to remove the tumours either in the short or long term." The author revealed the couple had married and was on a short honeymoon, and that he and his new wife "intend to spend however much quality time I have left seeing friends and relations and visiting places that have meant a lot to us". His publishers, meanwhile, were "doing all they can" to bring forward the publication date of his new novel "by as much as four months, to give me a better chance of being around when it hits the shelves". Regarding the possibility of chemotherapy "to extend the amount of time available", Banks said it was something he was "balancing the pros and cons of". Tragic news indeed – there really is no-one quite like him writing today and the shock is set to reverberate through the literary world over the coming months.